I'm The Overthinkers' Coach as well as a writer, teacher and podcaster. I can help you (as I have 1500+ others) spend less time overthinking and more time enjoying your life. My journey into self-development and wellbeing has not been an easy one – I’ve been an overthinker all my life and, at times, let it get the better of me. But, several years ago I decided that however daunting it felt, I wanted to live my life on my terms. 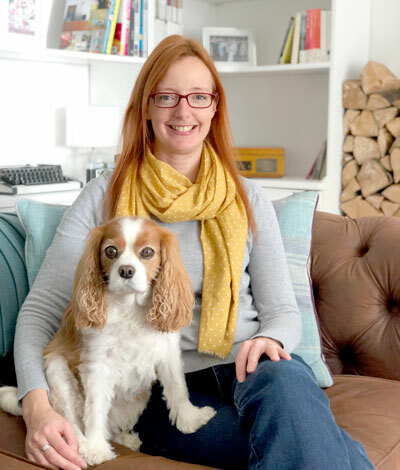 Through my research into positive psychology, exploring and experimenting in my own life, I’ve discovered how we can all thrive in our lives by worrying less and experiencing more contentment, positivity, peace and joy. Life isn’t just for living, it’s for thriving. I know that you want to feel lighter, calmer, more free and to lose the heavy feeling of worries dragging you down. I know that you want to go to bed each night secure in the knowledge that your mind didn't rule your day and you refused to let overthinking get in the way of you feeling the contentment and joy you want to. You’re not looking for every day to be filled with rainbows and starbursts and short-term pleasure but you do want your million-thoughts-a-minute brain to slow and quieten down. You want to feel the real, long-term, bone-deep contentment and joy that comes from keeping worries in perspective, from appreciating the little things in life, from having moments where you feel at peace, from making real connections, from not getting swallowed up in drama and stress, from knowing that you’re living life as you choose. Living a thriving, contented life is not about pretending everything’s fine and perfect, and it’s not about denying difficult feelings. It’s about making the choice to live as you want, experiencing all of life in its many shades. It’s about being mindful of how you go about your day, appreciating and enjoying what you have. It’s about finding meaning and connections, making a conscious intention to live your life to its full potential. It’s about meeting life’s challenges and setbacks with resilience and strength. You can worry less and enjoy life more. You no longer need to feel like you’re struggling through life, trying not to feel overwhelmed, doing what's expected of you, attempting to keep a grip on everything and waiting for when it gets good in the future. Your life is for finding joy, ease, fulfilment and connection now. Your life is yours to live as you want, whatever that looks like, and it’s entirely within your reach. Through my research and direct experience I’ve devised strategies and actions for you to reduce your overthinking, build your resilience and enjoy life more. If you're ready to take action to free yourself from your overthinking, to move towards living the life you want, to work on your specific challenges in your unique life with someone who understands and hears you, take a look at my one-to-one coaching services here. Through my range of online courses I've helped more than 1,500 people to worry less and enjoy life more. The range of material I’ve created to enable you to live the joyful, contented life you want is growing all the time. Take a look at the Courses. Pressing Pause is the podcast for overthinkers. Every Wednesday I share a new episode with inspiration, ideas and actions to help you calm your overworrying mind. Listen and find out how to subscribe on Apple Podcasts, iTunes and Stitcher on the Podcast page. I've created a safe place where we can gather and share what’s going on in our overthinking heads. It’s a free Facebook group where I draw on my years of research and experience to share with you ideas, inspiration and actions to empower you to worry less and enjoy your life more. We don’t deny the difficulties we’re experiencing and we do look for the good stuff in life and shine a light on it. Join me in the group by clicking this link. I share ideas, inspiration and information for positive personal development, as well as interviews with others living their best life. Each week (usually a Thursday) I send out an email Note with ideas and inspiration, updates on what’s happening in my life, on new courses, photo challenges on Instagram, blog post links and access to the Nook of Inspiration. You can sign up to receive my emails at the bottom of this page. The Nook of Inspiration is where you can find a wealth of free resources including a mindfulness guide, printables, recommended books, podcasts and apps, TED talks, recorded meditations, desktop wallpapers and more. Everyone who receives my emails gets access to the Nook of Inspiration. 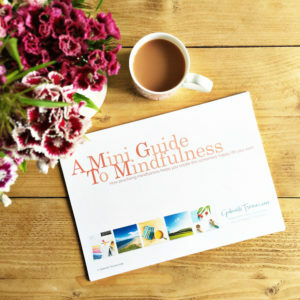 Get your free mini guide to mindfulness plus access to the free resources in the Nook of Inspiration.